“All she wants to do is be right by your side. She’s very snuggly." 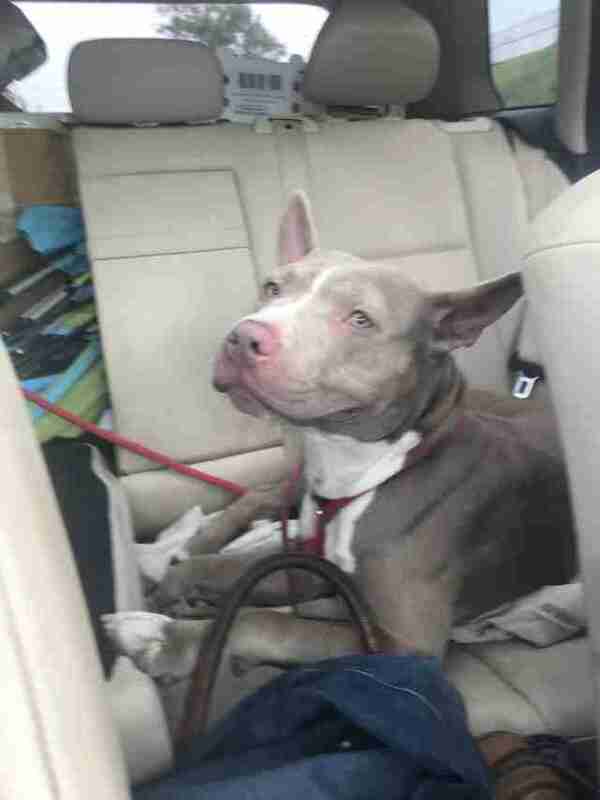 Jessica Graaf and her husband had just rescued two dogs from the Animal Care & Control Team of Philadelphia (ACCT Philly), and they were driving home with them. But when Graaf checked her email, she read something that made her drive all the way back. 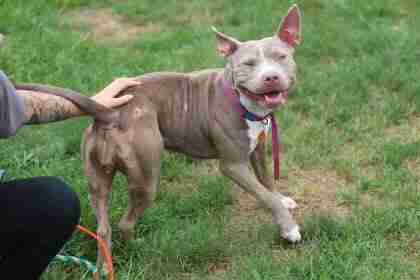 It was about a pit bull mix named Matilda, whom Graaf had seen while pulling the other dogs. Matilda was about 10 months old, and she’d only arrived at the shelter as a stray a couple days ago. But now Matilda was in danger. According to an email from ACCT, Matilda had been time-stamped, which meant she only had five to 48 hours before being euthanized. Graaf was a little surprised. However, Graaf knew that ACCT Philly was packed at this time of year, which was probably the main reason Matilda had been timestamped for euthanasia. Graaf knew she had to help Matilda. When the Graafs loaded Matilda into their car, the 10-month-old puppy seemed to know she was safe. 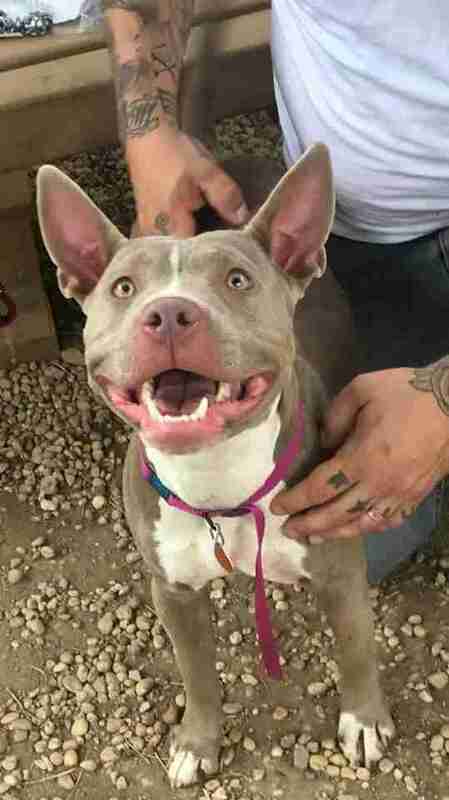 Matilda turned out to be an affectionate dog who loves being around people. When Matilda is awake, she’s eager to play — and she has a lot of energy, according to Graaf. 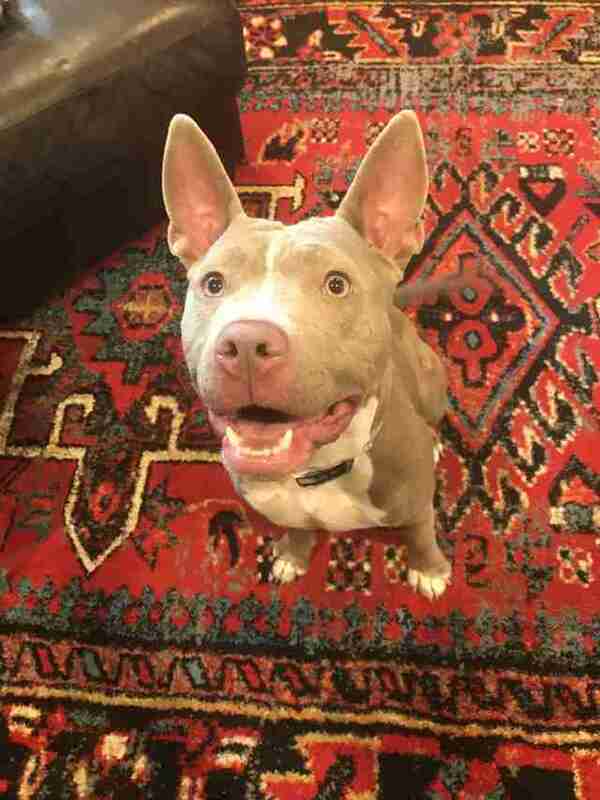 The Graafs are looking for a foster family who may also be interested in adopting Matilda. “With her energy, I think she would love a home with another dog and a really active family,” Graaf said. 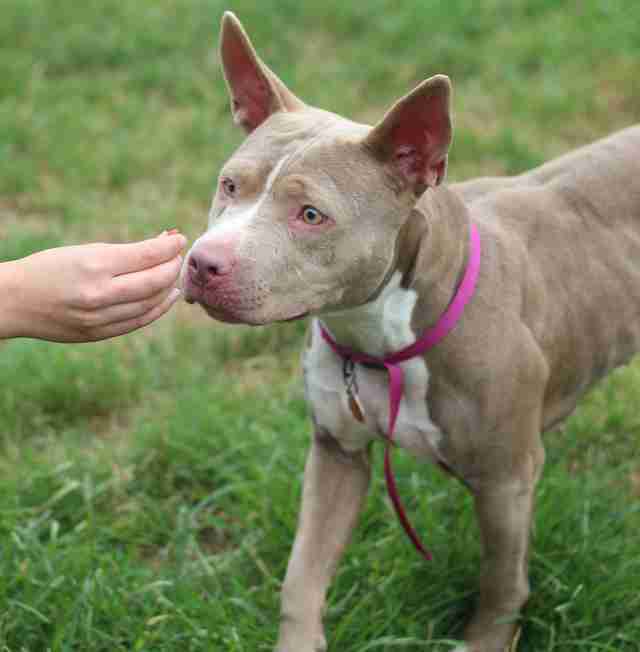 If you’re interested in adopting Matilda, you can contact Philly Bully Team.